Every year we think of a destination that I want to visit, make plans, calculate and budget times, we forget to ask and children if they disagreed with our choice. Some of us choose to travel by train or plane to reduce the time spent on the road, but lost sight of some more important issues. First buy four tickets or more up too much travel and so will be to give up other things. The best way to travel with children would be renting a car or rent a minibus. Even if traveling by car is quite demanding for both adults and children, remain precious memories such as hum some songs together, we can stop during the trip and see some scenery. Children will be delighted to see a roadside Sheperd with sheep, or a field full of sun flowers and many other things. Before starting the journey is better to make some preparations. One of them would be to choose the destination and the exact time when we want to go. Then we draw a map, here we can ask help children so they will still love her can watch and track. Luggage and prepare them together, they will be able to give their preferences, to choose their favorite games, toys and all that would make the trip more comfortable. To make it easier I'll give an example of a route that a family with two children could follow him and in which children, but only they would have learned. 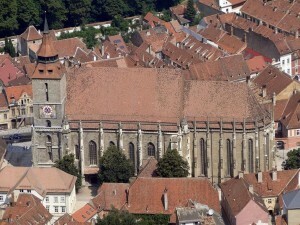 Our journey will begin in Cluj, a brief visit by Sibiu, Sighisoara and Brasov will be the final destination. First, after I set the destination and departure days will have to look for a place to stay. If the journey will take five days, and one of the nights we spent in Sibiu, Sighisoara and the other, you'd better watch what deals are. If we make reservations for one of the pensions in Sibiu or hotels in town, you might want to follow and offer discounts or special offers site. If you over looked this and remember only a few days before, there is nothing. We have a chance following offers last minute. Booking for accommodation is made, luggage ready, perfectly healthy children, and all are eager to hit the road. We rented the car from Eurocars Cluj, we can ask and child car seat, or DVD player, and certainly anything that we would bring the kids quiet. While we can lead them to watch their favorite cartoon or movie for older kids. It would be advisable to have at hand for car sickness medications or can ask doctor to administer them before the trip, as a precaution. Hit the road, enthusiastic and always the question in mind: "I got?". Among the objectives that we could meet during our trip I could tell Cheile Turzii, which will be our little ones observed and passengers. Of course over time will be much more to see. 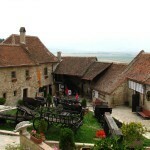 Once in Sibiu, after I rented a room at a hotels in Sibiu, we can start exploring the city. 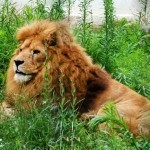 Everything to be perfect we start with the zoo, which is found in the Astra Museum. Large mills, carts old, rudimentary shelters, clean air and archaic world will lead children in a fairytale land. It is impossible not you love, it's all so fascinating. And as far back to be not too sudden, walking among the lions, leopards, monkeys, deer, bears and all other creatures will be wonderful. Do not forget to capture these wonderful moments with your children. After such a busy day, abundant and tasty meal, and then one day sleep will end in a good note. 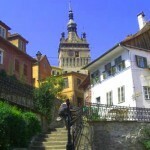 We start out again, this time our destination will be Sighisoara. How could we pass her? The medieval city has so many things to show. City towers, such as the Clock Tower which houses the History Museum of Sibiu, churches, museums, medieval houses, pupils will complete general education scale both parents and children. 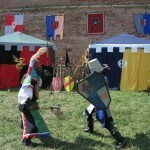 If and Medieval Festival period, then make sure that children will want to be princesses or knights. Realm of fairy tale continues. We find a room for rent in pension Casa cu Cerb, if not already have something booked. May feel fatigue of two days, but what I have seen so far will be a good opportunity to talk with children. So we know better what has delighted most, what they want to review what they learned new and others. 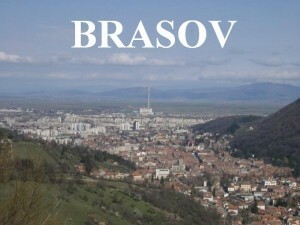 Arrived in Brasov, we can start a little walk through downtown to stretch our legs. We can visit the Black Church Square and then to climb up on Tampa, where we can admire the entire city. Around Brasov are many other sights, but the next day will be proper for them to find. First we go to visit in Poiana Brasov, where we could ascend by cable car to Peak Postavaru or Peak Cristianu Mare. From here we head to Rasnov where we will see the Dacians and Romans, the soldiers of World War I and we can find the fountain legend. 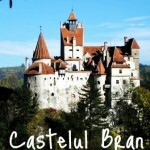 Then Bran Castle will be eager to show us his rooms, where once lived the Queen Mary. Sandman makes his presence felt as well so we headed to the hotels in Brasov. Our journey is drawing to an end, and we start off, this time home. Excited but also disappointed that it's over so quickly. Children will dream of what they saw, we will be happy that everything ended well and we will bring joy remember these moments minutes spent with children. 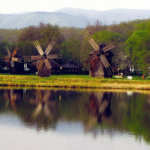 Romania has so much to show and to offer, but if we do not show our children, who will?